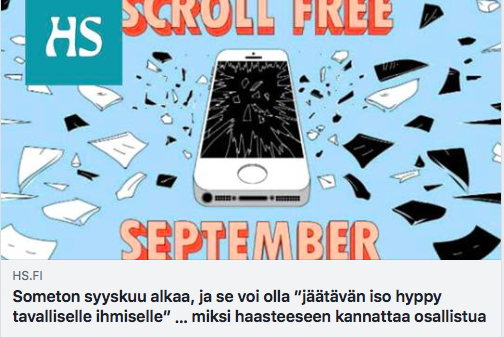 Olen sosiaalisen median tutkija, sosiaalipsykologi ja yrittäjä. 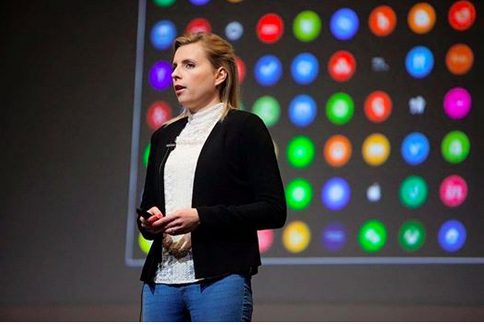 Was invited to a tv panel to discuss the invisible power the tech giants have globally. 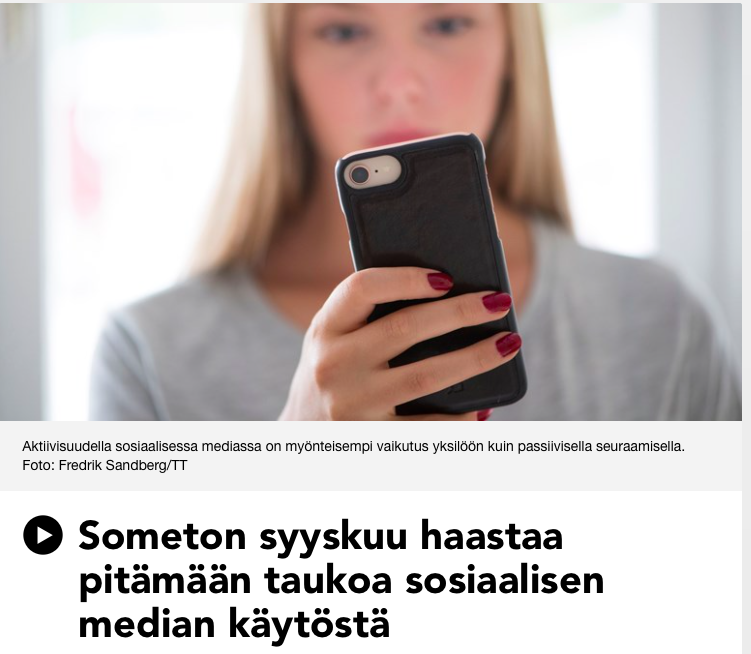 The elections in Finland are close and the dynamics of social media platforms and ownership of data seem to be a mystery for everyone. HERE is the link to the full show. 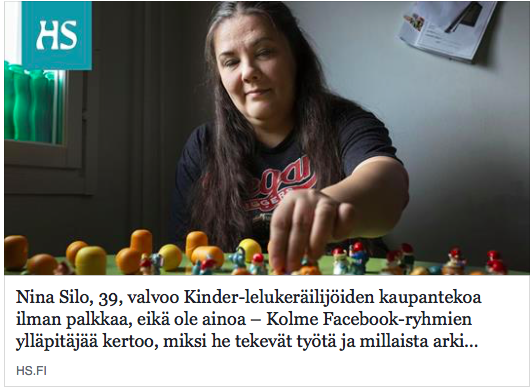 Suomen Kuvalehti made a personal professional article about my work and vision. To get interviewed about such a dear topic is a great honor for me personally. The link to the full text HERE (paywall). 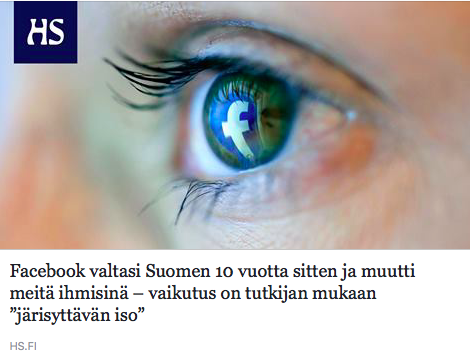 The business magazine in Finland interviewed me about the cure for social media harassment. At Someturva we are working very hard to make an impact. The link to the text is HERE. What an honor to tell the Image how I perceive the current digitalization realm and how I think we should act upon it. The world is complex, we just need to find the ways of being human. Read it here. 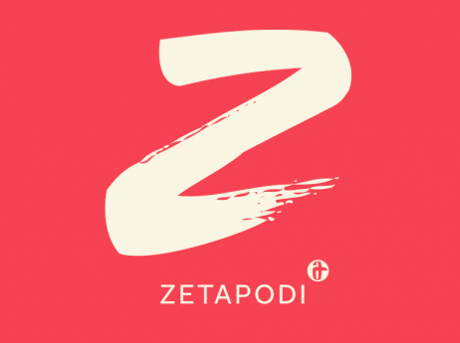 In the podcast we talk about generation Z and their distinct ways of using social media. Listen to the podcast here. HS collected material from their readers asking if they committed stalking on social media. I contributed to the analysis of the results and discussed how it prevails very natural for us people to stalk one another. You can tap it here. YLE came to shoot a short comment on cyberbullying. You can view the clip here. Listen to the radio program here. My somewhat critical comment on how we should design better behavior interventions for healthier social media use. You can read it here. 7/2018 HS interview: Social media makes us compare ourselves to others. Social media creates a social psychological setting where people can't help comparing themselves with others. You can read the entire piece here. Read here my 8 tips for healthy use of social media. In this discussion we talk about the hidden power of social media together with Christina Forsgård, Alma Hätönen, Elina Hiltunen, Mikko Hyppönen, Jukka Lång, Jarmo Limnell, Pauli Aalto-Setälä and others. You can watch the program here. HS asked my thoughts about bloggers' management of the publicness of their private lives. 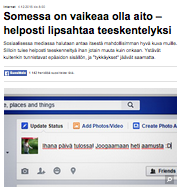 Had a chance to discuss social media addiction with Roope Salminen who has been claimed to be addicted. The entire concept of addiction is complicated when it comes to social media - nobody wants to admit it's a problem. Explained to HS how voluntary group admins on Facebook are appreciated in work life as well. Facebook has changed e.g. the way how presidents get elected. You can listen the airing here. 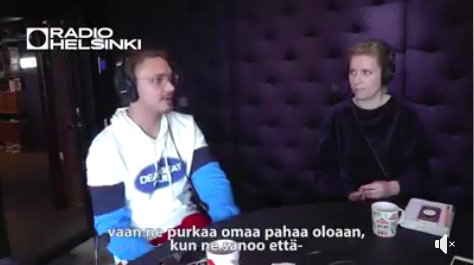 19.10.2017 RadioHelsinki Podcast: Miten some vaikuttaa meihin yksilöinä ja yhteisöinä? 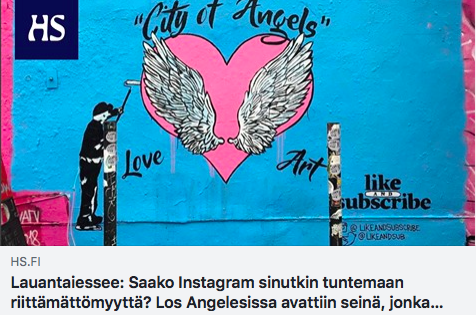 ​On RadioHelsinki Nollahypoteesi podcast, Anni Karjala asks me how social media influences people. You can find the podcast here. Co-authoring the Ministry of Finance's #diginyt recommen-dations for Finland. 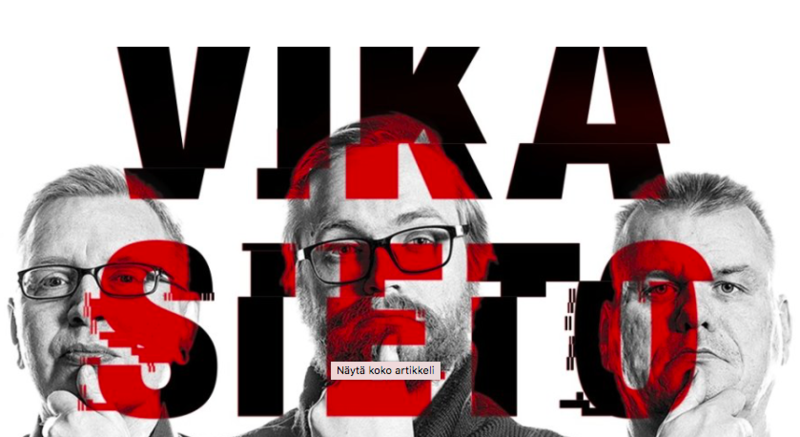 I had the great honor to be invited to contribute to the Finland's digital transformation by co-authoring recommendations with the smartest guys: Petri Takala, Timo Ali-Vehmas and Aleksi Kopponen. 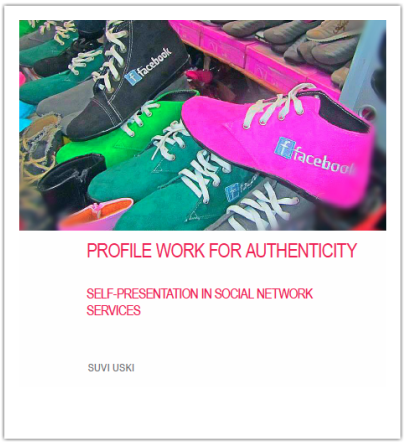 Best Picks: My take on authenticity on social media - Why it is so difficult? I was asked how faking in social media influences people's behavior. You can access the article here. 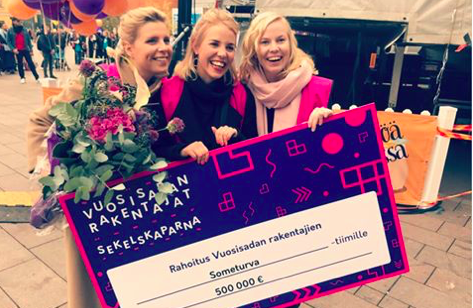 ​Someturva won the 2nd prize in Vuosisadan rakentajat. Hooray! ​We are super grateful for the jury for allowing us to make Someturva to happen in our society. We would also like to thank everyone who helped us along the competition. Thank you! I explain why people don't want to share anymore on Facebook - at least the way they used back in 2007. You can access the article here. I'm very grateful for being invited to various events to talk about the topics I consider the most important. Social media is lots of other things than marketing. This fall I have had the chance to talk to around 2,5K people. Kassahihna phenomenon was something media and people were surprised of. I contributed to the discussion by explaining behavioral roots of the popularity of the hihna. 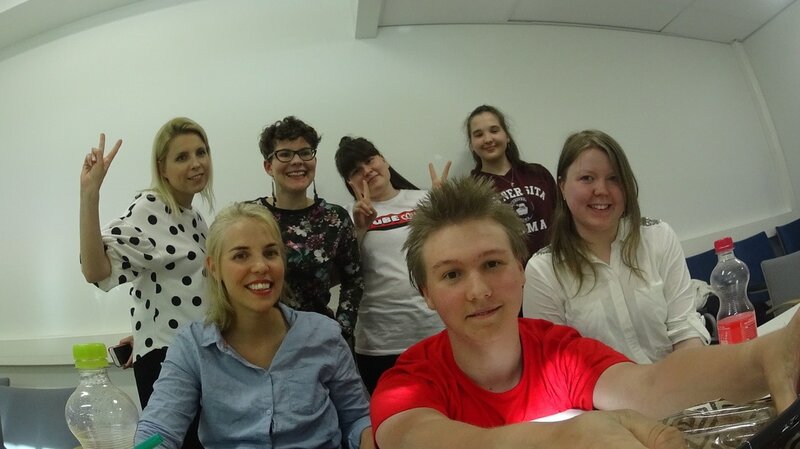 ​Children's digital rights were debated on #digiboom panel in Pori. You can view the show here. The user-centric approach in developing new services has been applied with great energy and collaboration now with Tubecon. Youtubers and crew members who took part in the development and evaluation workshops of our service are our new IDOLS. 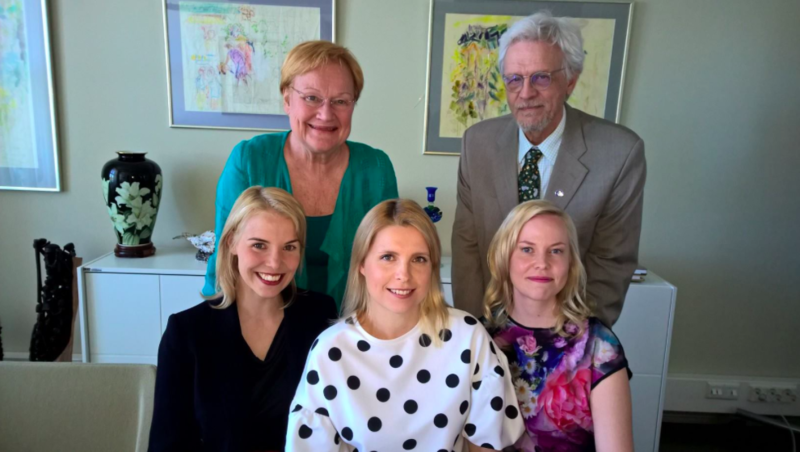 To our great honor we were able to get Tarja Halonen to our godmother to support us to make social media a safer place for everyone. We are so grateful for this partnership. I had a privilege to participate in the discussion on the present and the future of legal tech. The most influential factor cultivating this new shift lies in the social norms of lawyer profession and education. Turmoil in Facebook recycling groups were analyzed for this HS article. The findings include the problems caused by mediated "Finnish"-style of communication that causes a lot of conflict! 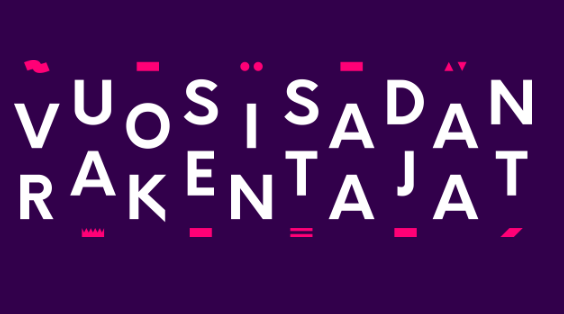 Vuosisadan rakentajat is a competition for impact driving startups and projects. The winner of the competition receives a significant funding from a consortium of 46 Finnish Foundations. The estimated amount of prize is over a 1 000 000 euros. Check out the other finalists here! 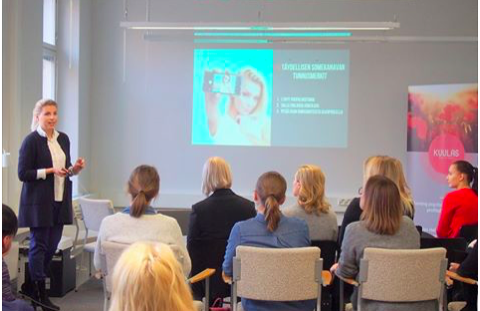 Women's day speech at Helsinki Think Company Women Leadership event. The house was full of motivated and future-sighted young women and a couple of guys as well. 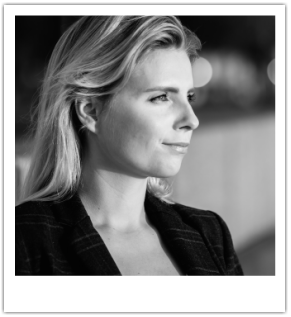 I had a chance to talk about my journey and life changing experiences on my path. The event gave us a chance to give a mentoring sessions in small groups. 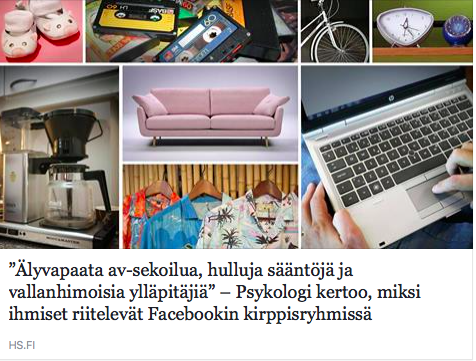 Got an invitation to come to speak about kids' tech use in Finland in MTV televisision. 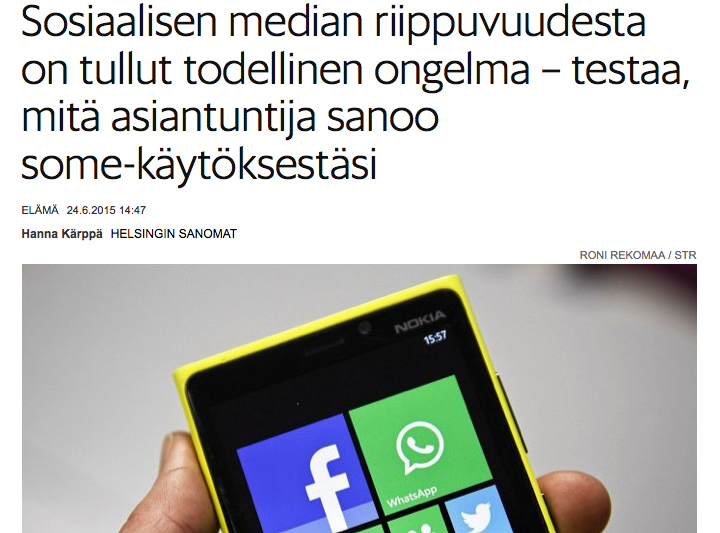 TeleFinland had produced a survey research- Mobiilitutkimus about kids and parents' smartphone use. The vid in Katsomo can be found from here. Kauppalehti published two pieces of our dear startup Mightifier during slush. The first piece introduced the social impact we are making and measuring with our service, and can be found here. The other one celebrated us winning the Fukuoka Pitching Competition (here). At Slush I got a chance to tell why we need Mightifier in schools. The main idea is that curriculum is changing everywhere and the skills tha we need in the near future differ from those we taught earlier. Check out the video here. These guys are just too much fun & smart! Download our Facebook podcast here. 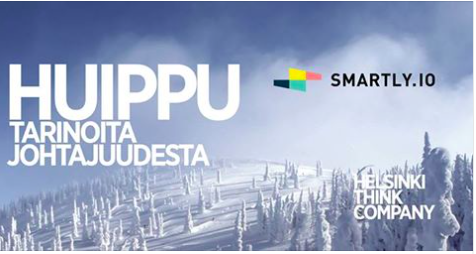 Excited to start collaboration with Finland's biggest speaker agency. Recently I've partnered with Mightifier to create a vision on how to make things big. We've launched research pilots in the US and Asia. Our goal is to scale up social skills teaching and contribute to wellbeing of kids all around the world. I had an honor to speak at TOA Berlin 13-15.7.2016. Check out this spectacular Tech Festival here. Olen panelistina The Shift:issä kahdessa eri paneelissa. Puhumme hyvässä porukassa ihmisestä keskellä MyDataa sekä IoT:a. Kuinka sosiaalipsykologinen näkökulma auttaa ymmärtämään teknologian ja ihmisen yhteispeliä? 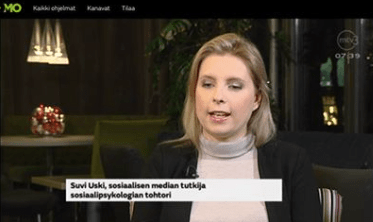 Yle:n Aamu-tv:ssä pääsin kertomaan suomalaisten somekäyttäytymisestä ja palvelusuosikeista. 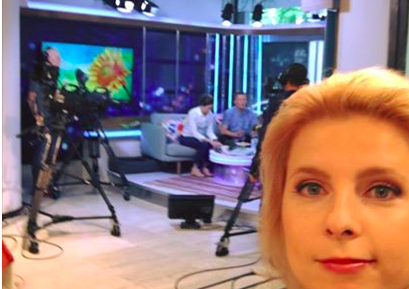 Olin varsin onnekas, kun tapasin studiossa myös uudessa Star Wars elokuvassa Chewbaccaa näyttelevän Joonas Suotamon. Hieno juttu Nyt.fi:hin tutkimuksieni päätuloksista. Jutussa päästään raapaisemaan vähän pintaa syvemmälle sitä, miksi profiilityö on normaalia. 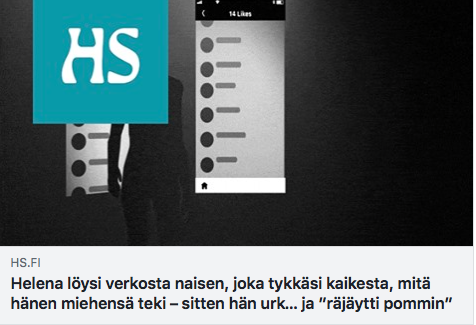 Jutussa kerrotaan aitouden haasteesta, jota olen läpikotaisin selvittänyt väitöskirjassani. Nuorten Äänen toimitus toteutti videohaastiksen aikeenaan selvittää kuinka nettikeskusteluista voi selvitä voittajana. Suomen Kuvalehden videoblogi on katsottavissa TÄÄLTÄ. 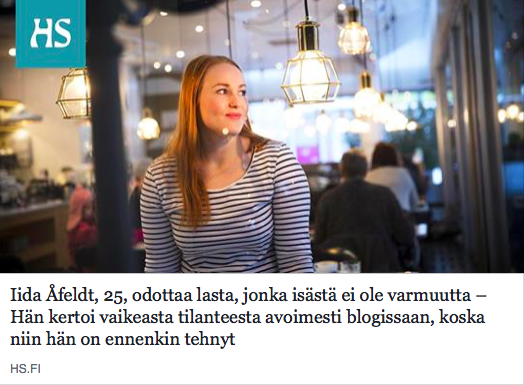 Kirjoitin Verken blogiin someprofiileihin liittyen. 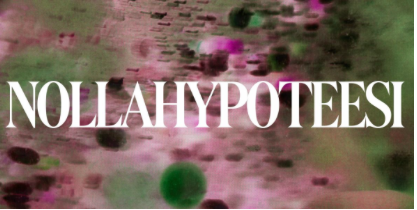 Profiilien laajalle yltävä aika-ulottuvuus on psykologinen uhka yksilön identiteetille. 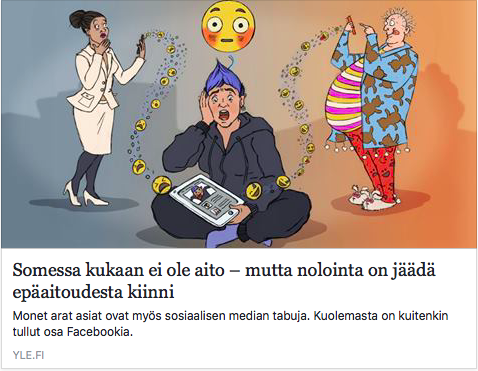 Erityisesti identiteettikokeilujen aikaan pitkälle yltävä profiilihistoria voi kuormittaa. Snapchatin kaltaiset palvelut ovat ajan tasalla perustaen logiikkansa sisällön hävittämiseen sen säilyttämisen sijaan. 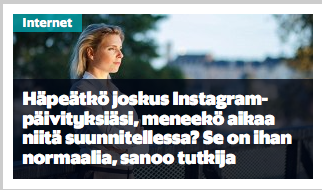 Hesarin sivuilla julkaistu someriippuvuustesti tarjoaa mahdollisuuden arvioida oman käytön määrää. 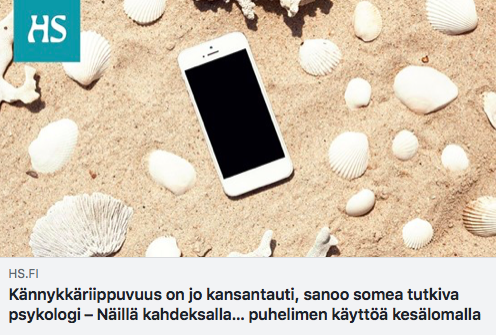 Testin tärkein tavoite on saada oma huomio kiinnitettyä siihen, kuinka paljon somessa tuleekaan aikaa viettäneeksi. My doctoral defense was held in the University of Helsinki, 4 Dec 2015. The digital version of the dissertation is available HERE. I will release a series of blog posts about the general findings of the dissertation. Ongoing social media research can benefit all forms of organizations and businesses in ways that has not been applied into practice yet. I'm working on a venture that will help all organizations to exploit social media in order to interact and develop their services. The model is based on the findings presented in my dissertation and highly relevant global research.